My daughter wanted to shop with no desire to visit an art gallery, so we spent the morning absorbed in our own addictions. 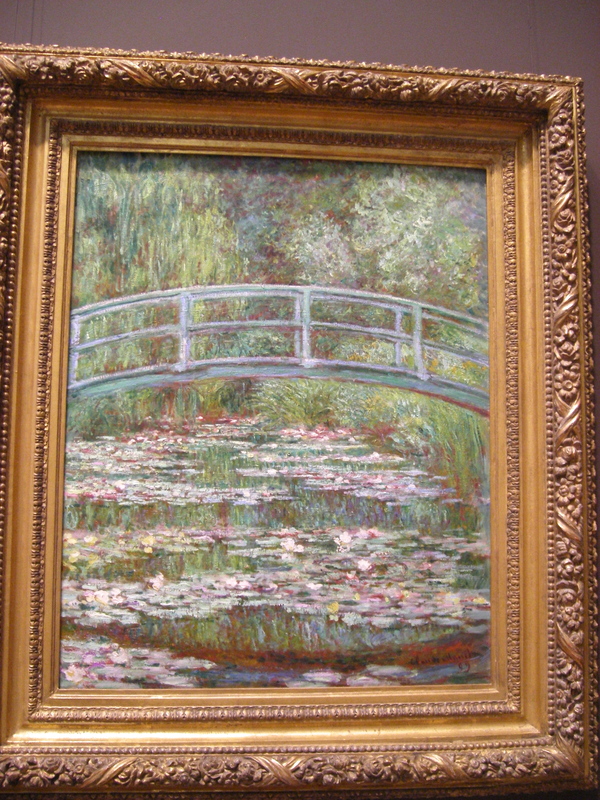 I entered the Museum of Modern Art over echoing floors to visit the Impressionists first. I was a little disappointed but that soon dissipated after I entered the Islamic section. 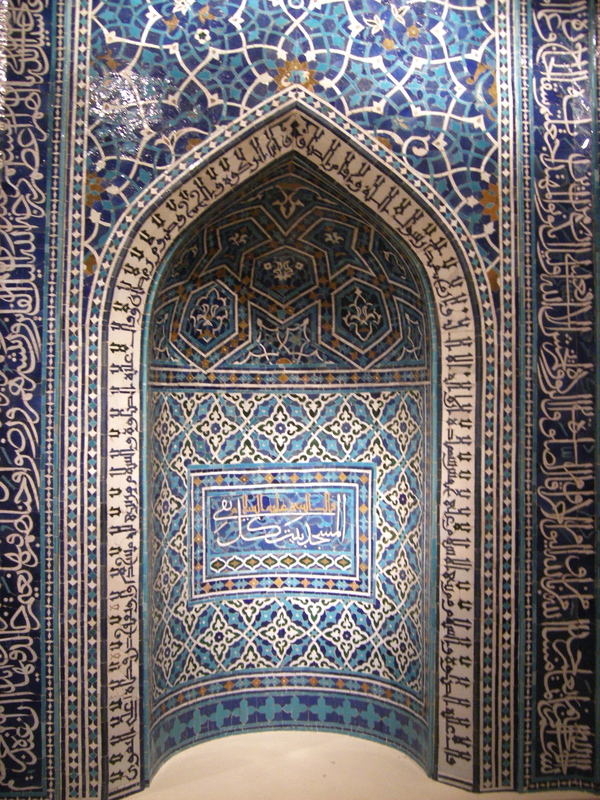 Not only was the pottery and examples of tiles impressive, but a niche that must have once stood in a mosque was exquisite. I backtracked through this section a couple of times. I managed to wander through the Indian display and a few other rooms before my phone rang. My daughter’s shopping was over just as our New York sojourn was coming to an end as well.